Moving House Plants - Moving Services Inc. | Moving Services Inc. Tips on how to move your leafy friends. No matter how green your thumb, Moving Services, Inc., understands you have worked hard to cultivate your indoor plants. To keep them healthy during your relocation, refer to the tips below and talk to your Moving Services, Inc., Agency Sales Representative concerning the best way to transport your plants. Like any living thing, plants require special attention. If you are involved in a long-distance move, you will want to transport your plants in a temperature-controlled environment, such as your car. Extreme temperatures and lack of fresh air in a moving van can be fatal to plants. According to the “Household Goods Carriers’ Bureau Tariff,” a carrier is not allowed to accept a shipment containing perishable items, including plants, except when a shipment is moving less than 150 miles and/or delivery will be made within 24 hours. 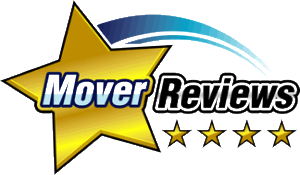 Consult with your Moving Services, Inc., Representative before deciding on the best and safest means of transportation. When your Moving Services, Inc., Representative surveys your overall moving requirements, let him or her know that you will be moving your own plants. Packing materials are available for purchase from your Moving Services, Inc., Agent. If you have questions about the specific care of your plants, refer to the chart on this page to view the 10 most common houseplants. You can also consult a reputable plant publication or your local U.S. Department of Agriculture office. Some states regulate transportation of certain plants and require a Gypsy Moth Inspection Certificate. Traditionally, California, Arizona and Florida have the most rigid restrictions on bringing plants into the state. Your state’s department of natural resources can provide current information about your destination state. As a general rule, most states require transported plants to be grown indoors in sterilized potting soil — not soil taken from outdoors. You may purchase sterilized soil at your local lawn and garden shop. Read the label carefully to make sure the soil contains the right mixture of loam, peat or sand needed for your particular plants. If you cannot take your plants along, consider taking cuttings. Simply wrap the cuttings in wet moss and newspaper and place them in unsealed bags. Place bags in a carton and fill in around them with light packing material. The cuttings should survive several days’ travel and be ready to take root in your new home. Now that you’ve decided which plants will accompany you to your new home, take precautions to help them survive the trip. Repot plants that are in clay pots into unbreakable plastic containers of the same size; changing pot sizes can be detrimental to some plants. Prune larger plants for better packing and to produce healthy, bushy, compact plants that are more attractive. To prune, simply pinch back newer growth with your thumb and forefinger. Check plants for insects and/or parasites. If you use insecticides on your plants, use them with extreme caution and follow label directions. Water your plants normally. In winter months, over-watering may cause plants to freeze. In warmer weather, over-watered plants are subject to fungus growth during transit. Pack your plants in the morning or the night before. Wrap your large houseplants with an old sheet or tissue paper to prevent branches from breaking. Place the pot in a box, making sure it fits snugly at the bottom. You may use conventional packing cartons, like dish packs, available from your Moving Services, Inc., Representative. If necessary, use paper around the base to hold the pot in place. Punch air holes in the sides of the box and loosely fasten the lid so plants can breathe. Set the boxes upright and clearly mark the lids. This will help you avoid loading them by mistake into the moving van. If you follow this procedure, your plants will be ready to travel up to three days before requiring further attention. Load plants as close to your departure time as possible. Avoid putting plants in the trunk of your car, if possible, since heat, cold and lack of fresh air can damage the plant. In warm weather, make periodic stops in shaded areas and crack a window. Avoid exposing the plants to direct sunlight at all times. In cold weather, avoid letting the temperature inside your car become hazardous to your plants. If needed, wrap plants thoroughly with newspaper or paper bags. You probably will not have to water your plants during transit. If they seem unusually dry, water them at first opportunity; otherwise, postpone watering until you have arrived at your new home. If you’re on the road for more than three days, your plants may require light. When staying overnight, it is a good idea to bring plants indoors and open cartons to expose plants to the light. Upon arrival at your new home, unpack your plants as soon as possible. Remove them through the bottom of the box to avoid breaking leaves and branches. Try not to move them around too much until they become acclimated to the surroundings. With the proper attention and care, your plants will flourish in their new home. And you can settle in more comfortably with your favorite plants around to admire and enjoy. Leaves droop Too hot and dry / soak thoroughly, move to a cooler spot. Leaves turn yellow Too wet / check drainage holes, let dry between waterings. Leaf drop Too wet / allow soil to dry before watering. Too cold / move to brighter, warmer place. (dumb cane) Brown leaves Hot, dry air / use cool mist humidifier. Lanky leaves Too dark / move to brighter spot. Spindly fronds Pot is too big / let it get root bound. Fertilize. Brown fronds Dry air / use cool mist humidifier. Spots on leaves Water on leaves / remove spotted leaves, water plant from the bottom to avoid getting water on leaves. No flowers Too dark / increase light intensity and fertilize. Leaves topple over Too rootbound / repot, or divide plant. Leaves wither Too dry / water a little more often. (dragon tree) Leaves droop Direct sun / move to more filtered light. Brown leaf tips Dry air and soil / mist and increase water. Blackened leaf tips Soggy soil / reduce water. Leaf drop Cool air / move away from drafts. Rotting in center Too wet / allow to dry before watering. Brown leaf tips Too hot & dry / move away from direct sun, water more often.